How to plan a memorable out-of-town wedding weekend with minimal stress. By deciding to say “I do” in a setting that’s removed from your everyday experience, you have automatically set the stage for a celebration that feels like a vacation for everyone involved… including you! Have confidence in the fact that your wedding will be remembered as a one-of-a-kind event, and keep the following DO’s and DON’Ts in mind to ensure that your planning process is as seamless and streamlined as possible. DO call your airline in advance to determine whether or not you can carry your gown on the plane with you. DON’T rely on a destination rental shop to secure tuxedos for the guys. Smaller shops don’t always carry a full stock of inventory, so the groom and groomsmen should pre-arrange their attire with a national company ahead of time. DO check your destination’s marriage-license laws several months in advance of your wedding date. In the Bahamas, for example, you must be married between sunrise and sunset, and a Bahamian minister must officiate your ceremony. These are the kind of unique-to-the-destination details you’ll definitely want to plan around! DON’T spend a lot of money on décor if you don’t need to. Most destination locations are inherently beautiful, so select décor that complements, rather than competes with, the natural look of your surroundings. DO think outside of the music box. Cigar rollers, flamenco dancers… the possibilities for live entertainment are endless throughout your destination weekend of events! DON’T forget to scope out local talent. Although you might want to consider flying your favorite band to your location, a set of steel drums or music from a local mariachi band can instill an atmosphere of authentic flavor to your welcome party, rehearsal dinner, or wedding day. DO request information about additional taxes on various food and beverage items so that you can accurately determine the all-in price of your wedding. DON’T neglect local fare when building your wedding menu. If you’re getting married in Hilton Head, give guests a taste of the Lowcountry via a plate of shrimp and grits. If you’re going to Sante Fe, mole sauce is a must. DO provide as much information as possible – airport codes, room blocks, modes of transportation available at your destination – on your save-the-date cards so that guests can request vacation time and make necessary travel arrangements sooner rather than later. DON’T forget to request an early reply so that you can properly budget for your wedding according to guest count. DO select a location that allows for convenient, hassle-free travel for you and your guests. A full day of travel cuts into your guests’ vacation time, ups their travel expenditures, and shortens the time they’re able to spend enjoying your event. Be cognizant of your guests’ time and budgetary boundaries by selecting a destination that’s as accessible as it is gorgeous! DON’T select a tropical location during hurricane season, or plan your wedding close to a major holiday (Christmas in particular) or event (like the World Cup). Travel and accommodation costs skyrocket during these times, which could limit your guest count. 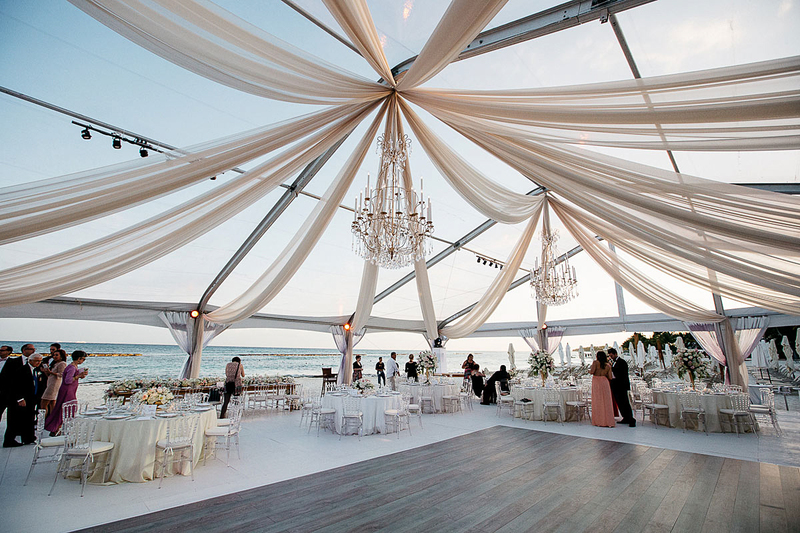 DO hire a wedding planner located near your hometown if you require full-service coordination. You’ll be working with your planner for months leading up to your event, so it’s worth investing in their travel expenses. DO give guests welcome gifts filled with items unique to your destination. DON’T ship too many items from your hometown. Your amenity bags will feel more authentic if you fill them with local items, and you’ll save money by avoiding shipping costs! To be perfectly honest, it’s difficult to mess up a destination wedding. No one goes to a destination wedding unhappy and no one leaves a destination wedding unhappy, so enjoy the rest of the planning process and know that every aspect of your day will be a “DO” no matter what happens!